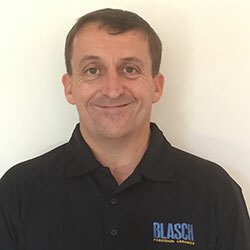 Albany, NY – June 5, 2015, Blasch Precision Ceramics, Inc., an Albany-based ceramic technology manufacturer, announces the appointment of Darren Bridges of Specialized Engineering Services Pty Limited as their exclusive representative, covering the regions of Australia, New Zealand, Papua New Guinea and New Caledonia. Darren Bridges is a chemical engineer who joined Specialized Engineering Services in 2004; prior to that he was the sulfuric acid plant manager at the Kalgoorlie nickel smelter. Darren has extensive experience in plant operation, trouble-shooting and plant turn-around planning and execution, all with a strong emphasis on safety. In this role, he will focus on providing Blasch’s innovative solutions for refractory applications in the petrochemical and refining, mining and power generation markets within this territory.